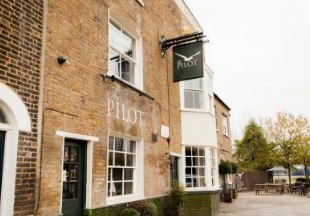 The Pilot Inn is a 200-year-old pub/restaurant set in the middle of an up and coming area in Greenwich. Situated just next to the O2, The Pilot Inn has 5 newly refurbished bedrooms, stylishly decorated and furnished with quality accessories. 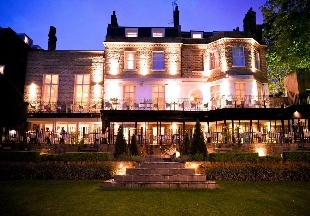 It is the ideal place to stay, enjoy a relaxing drink and a top quality meal. The Inn offers a wide range of home-cooked cuisine, and Fuller’s award winning ales you will be sure of a warm and friendly welcome. 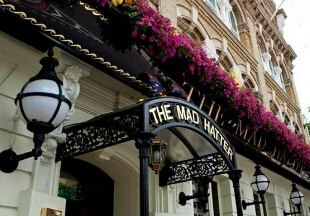 Behind this typical 19th century London facade is an up-to-date Hotel, with every modern facility in its 30 large comfortable bedrooms. 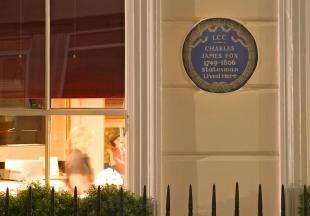 It's close to one of the oldest parts of London, the 'Borough', well known to Shakespeare and Dickens. Originally a Victorian millinery factory, an ideal location for all that London has to offer, culture, music. Within walking distance is the Tate Modern, Vinopolis, South Bank, the famous Borough Road food market, London Bridge and Shakespeare's Globe Theatre. 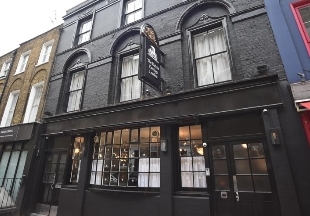 Welcome to the Clerk & Well Pub with Rooms in Clerkenwell, just 8 minutes walk from Farringdon Station and within walking distance of St Paul's Cathedral and the British Museum. Bedrooms are well equipped with en-suite bathroom, seating area and SmartTV with free Netflix movies. This historic tavern in the heart of the Common was listed in the Epicure's Almanack of 1815. Absorb the history by the fire with a glass of ale and some great British food. Our rooms are boutique style and boast all modern comforts. With Clapham Common tube station just a stone's throw away, we are perfectly placed for visiting central London. 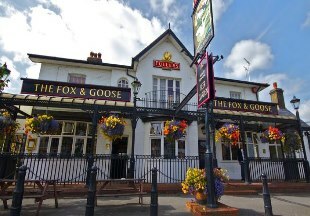 The Fox and Goose is a pretty inn in traditional style, with a large patio garden. You will find excellent home cooked snacks or full restaurant meals on offer. To make things perfect, the bar has a roaring fire to make you to feel snug and cosy when the weather is cold. All 73 comfortable bedrooms are fully air-conditioned and have just about everything to make you feel at home. The hotel is located just 2.5 miles from Wembley Stadium, 6 miles from Central London and 10 miles from Heathrow Airport. 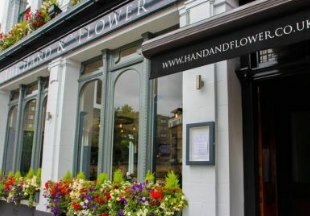 The Hand & Flower is a large Victorian pub that has recently been refurbished to gracefully combine a contemporary style with the traditional features you would expect from a pub that is over 100 years old. Located directly opposite Olympia Exhibition Halls and a short distance from Earls Court it is ideally situated for attending events and shows. Or, should you wish to explore the rest that the Capital has to offer, it is close to all public transports links. The Fox Club is a cosy and intimate hotel with stylish accommodation set on a quiet street in the centre of London. Located in a Georgian house with many of its original features, The Fox Club is ideally situated for the theatre, shopping, parks and Buckingham Palace. 3 minutes walk from Green Park Underground Station. Originally built in the 16th century, the Red Lion Hotel's interior has exposed timber beams and a large Tudor fireplace. 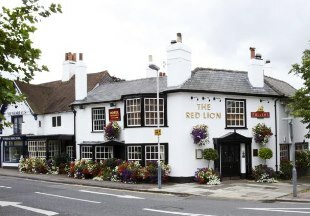 King Charles I is reputed to have taken respite in the Red Lion in 1646. On warm summer evenings you can enjoy a drink in the garden and large patio area. Located close to Uxbridge Station. 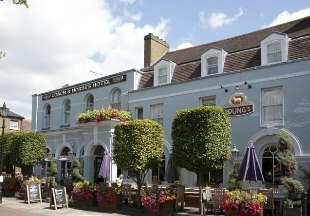 This wonderful 17th century coaching inn is excellently located across Kew Green from the Royal Botanical Gardens and only 20 minutes by car from London's Heathrow airport. The traditional bar, with open fire in the winter, serves a wonderful selection of food, real ales and fine wines. Adjacent to the bar is an oak panelled restaurant also serving food all day. 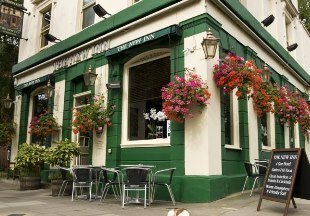 Built in 1810, the New Inn is a traditional inn, conveniently situated in St John's Wood. London Zoo, Lords Cricket Ground and many other central London attractions are on the doorstep. 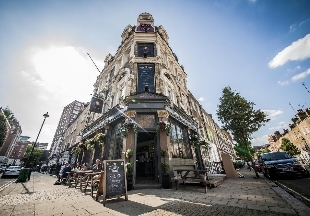 Conveniently located just a stone’s throw from Smithfield Market, this Victorian pub known for its Sunday roasts boasts beautiful boutique bedrooms, each with their own personality. A traditional pub combined with the luxury of modern technology and amenities. In the fashionable district of Shoreditch, this traditional London boozer with gorgeous boutique bedrooms is the perfect little respite from the big city. 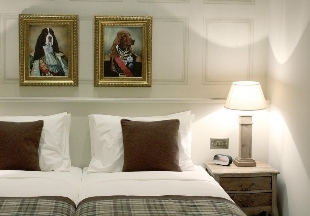 The super stylish and comfortable bedrooms are all named after the pubs history integrating all the modern comforts with this traditional English pub. This West End pub with rooms, just a stone’s throw from the British Museum, offers a friendly pub with stylish and comfortable rooms that have been lovingly refurbished mixing the traditional with the modern. If you are visiting in the summer, don’t forget to treat yourself to a cocktail on the roof terrace. With nearly 200 years of history (even mentioned in the famous book by Charles Dicken ‘Oliver Twist’), The One Tun is full of charm and quirky character. With 8 unique bedrooms creating a cosy retreat from the buzz of the city, The One Tun is a great place to lay your head whilst visiting London. 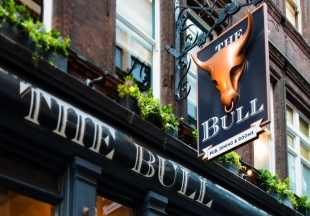 Dating back to 1793, this beautiful corner pub is just a few minutes’ walk from Marble Arch and Hyde Park. 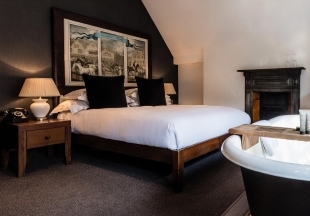 Recently refurbished, the rooms are comfortable and have all modern amenities including air conditioning and soundproofing and the pub offers an inviting place to wind down at the end of the day. 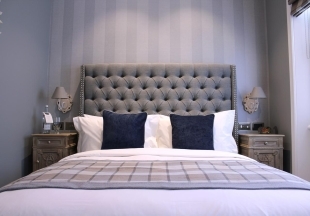 Conveniently located a short walk from Euston Station, the Pack & Carriage has recently undergone a refurbishment creating modern and comfortable bedrooms and free wifi is included. Not too far from the hotel is Camden, perfect for those interested in Camden Market and live music. Heading to Twickenham? There is no better place to stay than the Orange Tree! A vibrant and popular gastropub serving cask ales and speciality beers alongside classic pub food and boasting boutique bedrooms that have that luxurious feel. Located in Richmond, popular for its open spaces, shopping, historical attractions and being the nearest tube station to Twickenham, The Bingham, build it 1740, boasts a perfect location on the River Thames and offers a slice of countryside in London. The hotel itself boasts luxurious bedrooms, some with whirlpool baths and an on-site award winning restaurant. "Sir, when a man is tired of London, he is tired of life; for there is in London all that life can afford." Samuel Johnson. Like a thread running through London's history, you will find the tavern or inn. The Great Fire of London destroyed most of the ancient inns but many were rebuilt in the years afterwards. These pubs and inns were at the heart of London life. Here you would find not only the ordinary working man, but also criminals, prostitutes and even literary men such as Dickens and Samuel Pepys. Food here was hearty and traditional, with ale and cider the drinks of choice. Some of these old pubs and taverns still exist in London today. 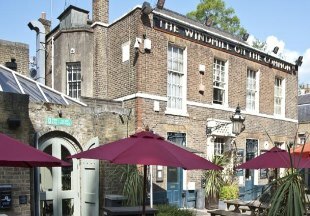 For example, The Windmill on Clapham Common and the Coach and Horses at Kew both offer masses of historic character mixed with modern comforts. Where better to go for a true taste of old London than a vibrant inn? Enjoy a stay where you can meet the locals, enjoy great food, wine and ales, all within easy reach of central London. 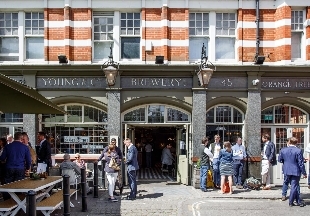 We have handpicked a selection of some of the best London inns and pubs with rooms to help you find the best place to stay. 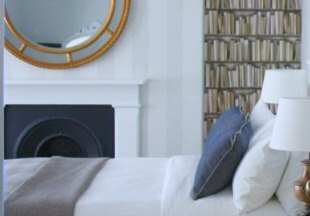 If you want to widen your search, why not browse through our selection of hotels and inns in Berkshire, Surrey, Kent, Essex, Hertfordshire and hotels in Buckinghamshire.